What: DJ DONALD GLAUDE with DJ’s FM Marc + XM Fredie (Hi’R Entertainment / Volume Control / The Beach, Reno, NV) + Eric J (Planet DJ, Reno, NV). Details: 21+ show. Doors open at 9pm. $10 advance, $15 door. 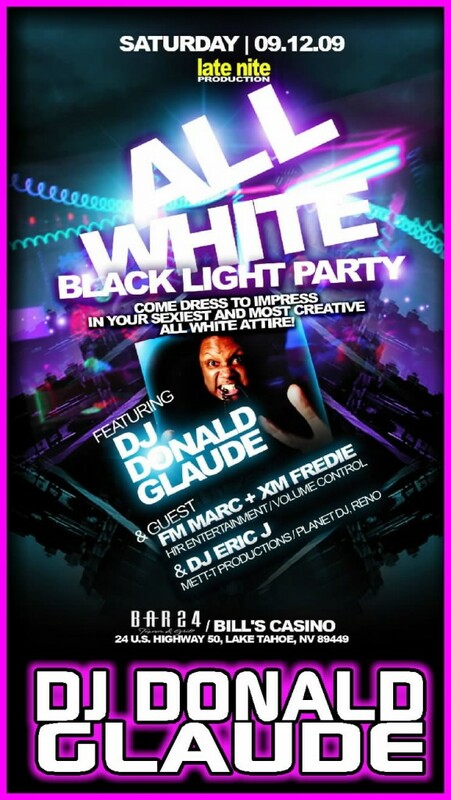 Late-Nite Productions is proud to present DJ Donald Glaude for Tahoe’s “All White Blacklight Party”!! Thats right, we will transform Bar 24 into an All White haven lit by blacklights for your Audio and Visual stimulation. Reno and Tahoe’s Hottest DJ’s FM Marc + XM Fredie (Hi’R Entertainment, Volume Control, The Beach / Reno) and DJ Eric J from Plantet DJ in Reno will get the party warmed up. This will be going down at Bar 24 inside Bill’s Casino in South Lake Tahoe on Sarurday, September 12th. The party starts at 9pm and doesnt end till the suncomes up!. There are tickets available for only $10 at Bar 24, Mad About Music, Tahoe Hemp Co. and are also available online at www.ticketweb.com. This event is 21 and over. $15 at the door. Confident. Exuberant. Raw. Innovative. 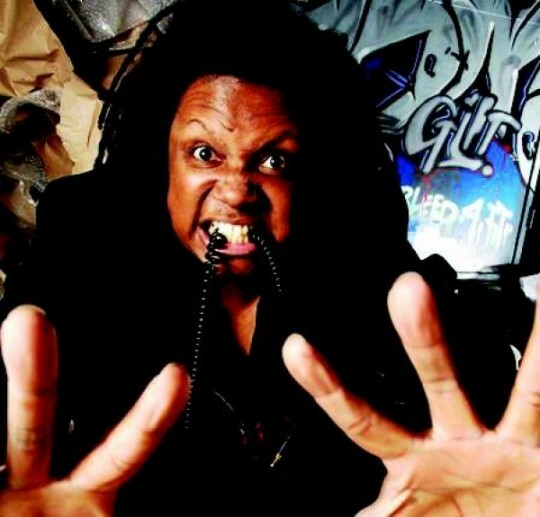 These are just a few of the words industry insiders and fans have used to describe the talent behind one of America’s favorite house DJs, Donald Glaude. Ranked 68 on DJMag’s Top 100 DJs List in 2005, Donald skyrocketed to 48 this year and his genius keeps on growing. Born in Tacoma, Washington, Donald’s love for music began at an early age. Originally a disciplined student of classical music, he was well-versed in the upright bass and violin. Any aspirations Donald had to continue in the classical vein vanished once he heard his first house record. With an ear for blending music already under his belt, and a love for the energy and soul of musical prodigies like George Clinton and Funkadelic, Donald began to amass a collection of house records which he taught himself to mix with a pair of mismatched turntables and a Radio Shack mixer.